Obituary for Dakota Lynn Martel | Lumberton Family Funeral Home, LLC. 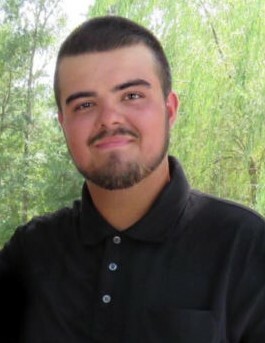 Dakota Lynn Martel, of Sour Lake, TX, left this earthly home for his heavenly home on Sunday, September 2, 2018 at the age of 22. Dakota was born on Monday, September 25, 1995 in Beaumont, TX to his loving parents Patrick Lynn Carr and Gina Elaine Carr. Dakota came into this world knowing how much he was loved and cherished by his family. He grew up learning to be considerate, kind, compassionate, and respectful of both his elders and everyone else; he was just the most well-mannered young man you could ever hope to meet. Dakota’s name means friend and ally; he had many friends over the course of his short lifetime and grew up with one in particular, Dillon Berry, who he thought of as a brother. Dillon and Dakota had many great adventures together. Dakota loved music, making videos, and playing games; he enjoyed hunting and fishing with his dad and grandfather. Dakota loved to cook on the pit and could make you a killer chicken dinner. When not enjoying his hobbies, Dakota spent his time living his real-life fairy tale; Dakota was definitely “prince charming” with Devin his beloved “Snow White”. Dakota and Devin had 5 wonderful years together, almost 2 of those blissfully married. Dakota was a hard worker and was always ready to help anyone who asked for it. He enjoyed learning new things. He loved going to church with his friends at a young age and knew and loved God; we are sure he is at God’s side right this moment. Dakota was a beautiful child, a handsome young man, and he knew he was loved and cherished by his family and his extended family as he left this world. Dakota Lynn Martel joins his grandparents, Arnold Ray and Tommie Lou Carr, and Paul Eugene Martel in heaven. Left to cherish his memory is his adored wife, Devin Martel; his parents, Pat Carr and Gina Carr; his sister Shala Carr; his grandparents, Lynn Douglas and Margaret Parsley, and Donnella Looger; his best friend Dillon Berry; and numerous treasured friends and family members. The family will receive friends and family for a time of visitation on Friday, September 7, 2018 from 1-3 p.m. at Lumberton Family Funeral Home in Lumberton, TX. A life honoring service will be held on Friday, September 7, 2018 at 3 p.m. at Lumberton Family Funeral Home in Lumberton, TX with burial immediately following at Pineridge Cemetery in Kountze, TX.